The U.S. will set its own rates for the delivery of international packages, with or without the blessing of the Universal Postal Union, the White House’s trade adviser said. “Our strong preference is to do it within the UPU. 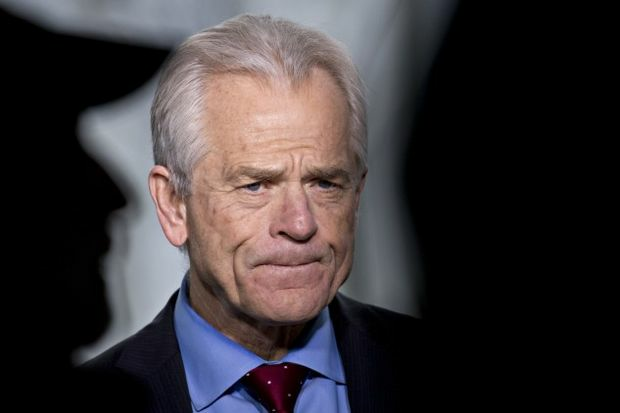 But, if not, then it will be done,” Peter Navarro, director of the White House Office of Trade and Manufacturing Policy, said Thursday in an interview with Bloomberg Government. President Donald Trump announced on Oct. 17, 2018, that the U.S. was starting the one-year withdrawal process from the postal union, a 145-year-old United Nations organization that regulates global mail delivery. But if the UPU could overhaul its rules, the president said, the U.S. would rescind the notice and remain. The president’s primary concern was the highly subsidized rate set by the UPU for delivery of lightweight packages sent from countries such as China, known as terminal dues. That rate, which is far less than the domestic delivery cost charged by the U.S. Postal Service, puts American businesses engaged in e-commerce — from small retailers to web giant Amazon.com Inc. — at a disadvantage. “I want to reinforce the fact that we did this in Trump time,” Navarro said. “From the time that the president said, ‘Get this done,’ to where we are today, that never happens as fast as we did it in government,” he said. Trump, in the statement announcing the start of the withdrawal process from the UPU, directed postal regulators to set self-declared rates for terminal dues as soon as practicable, and no later than Jan. 1, 2020. At the same time, the president directed the State Department to resolve the problems outlined in a presidential memorandum sent in August 2018, including adequate customs data and clear distinctions between governmental and operational responsibilities. The U.S. is primarily concerned with self-declared rates, and while it will continue to pursue the other changes outlined in the presidential memorandum, those need not be finished by October, a senior White House official said. The business coalition in support of self-declared rates includes the U.S. Chamber of Commerce and the National Association of Manufacturers. The comments from Navarro and several White House officials come ahead of UPU working group meetings set for late February in Bern, Switzerland, where negotiators are considering five options intended to satisfy U.S. concerns and prevent it from withdrawing from the organization. The only option that the U.S. government will accept is the fifth option, or true self-declared rates with no restrictions, a senior White House official said. If the UPU fails to allow for self-declared rates by Oct. 17, the U.S. will leave the organization, and the administration would be ready for such a contingency if it happens, officials said. Mail will continue to flow and officials said they anticipate few disruptions. The Postal Regulatory Commission has started a rulemaking to allow the U.S. Postal Service to determine the rates to deliver foreign packages. White House officials said they expect the rate-making process to be finished by the October deadline. When it becomes clear what is going to happen, the administration is going to give businesses sufficient notice and ensure a smooth transition to what comes next, officials said, adding they will be ready either way.